Berlin (AFP) - World heavyweight champion Wladimir Klitschko is set to defend his titles against undefeated USA boxer Bryant Jennings at New York's Madison Square Gardens on April 25, his management said Monday. "We have reached an agreement, even if not all the contracts have yet been signed," Klitschko's manager Bernd Boente told SID, an AFP subsidiary. 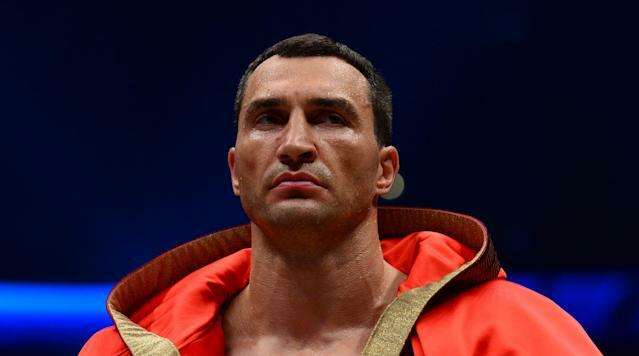 Klitschko is the undisputed world heavyweight champion as he holds the WBA, WBO, IBF and IBO belts, but the title bout had been drawn into question after Jennings' new management had produced a list of new demands. "We have accommodated a few small things, but we have stuck to those which are important to us," explained Boente. The 30-year-old Jennings has an unblemished record of 19 wins with 10 knock-outs, but all of his bouts have been in the United States. The 38-year-old Klitschko, who has posted 63 wins with 53 knock-outs, was last defeated more than a decade ago and was impressive during the last defence of his titles when he knocked out Kubrat Pulev in five rounds last November. Newly-crowned WBC heavyweight champion Deontay Wilder, 29, of the USA looks like being a future Klitschko opponent. He became the first American boxer to claim a world heavyweight belt since 2006 after his unanimous points win over Canada's Bermane Stiverne in Las Vegas on Saturday. Klitschko has said he wants to win the WBC belt, which his brother Vitali recently held before moving into politics, to become the first boxer in history to hold all four major titles of IBF, WBA, WBO and WBC belts.